A LUX-camp in Austria's beautiful Salzburg/Zell am See area is an excellent choice for holidaymakers hoping to explore Mozart's home town Salzburg, the lovely mountains, lakes and forests of the Salzburger Land region and perhaps even take a local bus across the Austrian-German border to visit Berchtesgaden's famous Olympic bob-sleigh tracks and the equally famous Königssee Lake and lovely St. Bartholomew church. Are you tempted yet? Then reserve your mobile home without delay to avoid disappointment, for this is one of Austria's most popular camping holiday destinations! Why should I camp in Salzburg /Zell am See? should I camp in Salzburg /Zell am See? Surrounded by mountains, forests, lakes and stunning historic palaces, religious monuments and ancient towns, campsites in Salzburg/Zell am See offer tourists not only a great region to explore, but amazing onsite facilities, including thermal baths, restaurants, evening entertainments, children's playgrounds and year-round camping holidays in a historic chalet or rented mobile home. Luxury camping rarely comes with more creature comforts than it does at Woferlgut Sportscamp. Campers have internet access, wellness and sports facilities, restaurant and snack bar services, a supermarket and entertainments like dancing, Italian delicacy evenings, folk dance shows, piglet hog roasts and fondue evenings to look forward to. 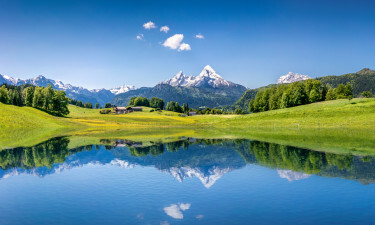 Austria is landlocked so there are no beaches, but the country boasts some of Europe's most stunning mountain lakes imaginable. The Hohe Tauern National Park region is part of the Salzburg mountain range, home to many rare animals and plants. This area is brimming with hiking and cycling trails, making it easy to explore without the need to hire a car. Austria's highest mountain, the Großglockner, is within a short drive of the luxury camping site. Cute marmosets and a cafe with Europe's finest glacier views await those brave enough to tackle the extremely steep winding road up to the summit. The Ferleiten Wild & Recreation Park is a great favourite with children - more than 200 endemic Alpine animals live there. 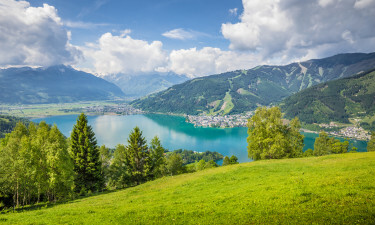 Go climbing in the Schmitten Mountain range overlooking Zell am See or visit Salzburg Cathedral and Hohensalzburg Fortress, Mozart Square and the many caves and canyons the Salzburger Land has to offer. Ever had Apfelstrudl, Mozartkugeln, Kaiserschmarren, Nockerln or Bladln? No? 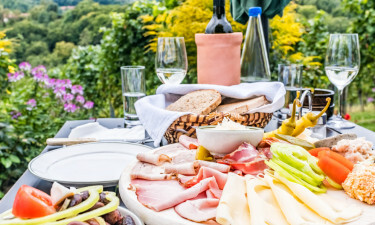 If you have a sweet tooth your camping luxury will include frequent trips to the local bakeries, for all of these delicious dishes are sweet specialities typical of the Salzburger Land region. Fragrant white wines – produced locally, naturally - accompany Schnitzel &amp; trout dishes, and &quot;blonde&quot; wheat-based lager will be served at Salzburg's many music festivals. Still undecided? Your luxury holiday campsite has its own restaurant and bar, where you can risk a culinary odyssey without straying too far from your mobile home.